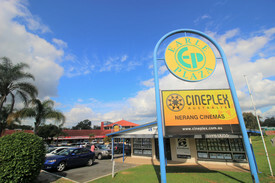 153 Commercial Real Estate and Properties in Gold Coast are listed in 9 categories. We have 438 Offices for Sale & Lease , 373 Industrial Warehouses for Sale & Lease , 343 Retail Shops for Sale & Lease , 90 Development Lands for Sale & Lease , 58 Showrooms for Sale & Lease and 54 Hotels and Leisure for Sale & Lease . 81m² ground floor Former medical tenancy available to be transformed into an office space, fully operational to suit your requirements Fully air conditioned Layout includes large reception/waiting area, three private rooms, utility room dual access to tenancy Ample signage opportunities On site parking Available to inspect today! Approximately Disclaimer: Ray White has not independently checked any of the information we merely pass on. We make no comment on and give no warranty as to the accuracy of the information contained in this document which does not constitute all or any part of any offer or contract by the recipient. Prospective purchasers / lessees must rely on their own enquiries and should satisfy themselves as to the truth or accuracy of all information given by their own inspections, searches, inquiries, advices or as is otherwise necessary. No duty of care is assumed by Orchid Avenue Realty trading as Ray White Surfers Paradise Commercial divisions toward the recipient with regard to the use of this information and all information given is given without responsibility. 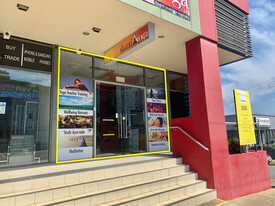 Ground Floor Retail/office Suite - Busy Street Frontage $2,500 pcm (Including Out..
150m² Long established centre serving a well populated growing residential/rural catchment Located on a busy intersection opposite Tallebudgera State School Join other longstanding tenants such as SPAR Supermarket, Cellarbrations bottle shop, Man on Bike Pizzaria, Tallebudgera bakery, Wicked Beans Cafe Tally Valley Seafood just to name a few This is an opportunity that does not come along often! Should your business fit within this existing tenant mix, enquire for further details Approximately Disclaimer: Ray White has not independently checked any of the information we merely pass on. We make no comment on and give no warranty as to the accuracy of the information contained in this document which does not constitute all or any part of any offer or contract by the recipient. Prospective purchasers / lessees must rely on their own enquiries and should satisfy themselves as to the truth or accuracy of all information given by their own inspections, searches, inquiries, advices or as is otherwise necessary. No duty of care is assumed by Orchid Avenue Realty trading as Ray White Surfers Paradise Commercial divisions toward the recipient with regard to the use of this information and all information given is given without responsibility. Character Filled Building With Options $4,555 pcm + Gst (Include..
220m2 ground floor office / retail / medical facility Main road exposure with excellent signage opportunities Automatic doors Amenities including shower Kitchenette Office Disabled access Plenty of parking Motivated owner, incentives available approx. Please contact the listing agent for more details by clicking on the link above. Disclaimer: Ray White has not independently checked any of the information we merely pass on. We make no comment on and give no warranty as to the accuracy of the information contained in this document which does not constitute all or any part of any offer or contract by the recipient. Prospective purchasers / lessees must rely on their own enquiries and should satisfy themselves as to the truth or accuracy of all information given by their own inspections, searches, inquiries, advices or as is otherwise necessary. No duty of care is assumed by Orchid Avenue Realty trading as Ray White Surfers Paradise Commercial divisions toward the recipient with regard to the use of this information and all information given is given without responsibility. Tedder Ave Shops - Vendor Meets The Market! VENDOR MEETS THE MARKET! These street front shops/offices in Tedder Avenue are now priced to meet the market! Vendor wants them leased NOW! Call Steve now and lets do a deal! Floor plans available. 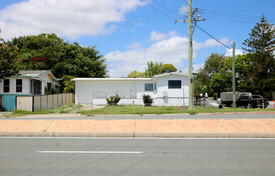 Tedder Avenue is a famous food/drink destination for touring Racing Car drivers, visiting Movie Stars and sports fans during the annual GC600 (car racing), Magic Millions (horse sales) and several other annual events. "Tedder" is always a great place to meet and a favourite with locals. Hang your shingle here, and reap the rewards! Features: Various shops/offices available from 49m² 94m² Some shops fitted out with full commercial kitchen and cold storage Others suit medical/ office Ample undercover parking for customers and staff Walk 200 metres and have a surf at lunchtime! Potential Uses: Deli/ Fruit Veg/ Juice Bar Wine Bar/ Cellar/ Whiskey Bar/ Micro Brewery Cafe/ Restaurant Fashion Homewares Doctors/ Medical/ Dentist/ Consulting/ Physio Call Steve Maher to book your inspection. Approximately Disclaimer: Ray White has not independently checked any of the information we merely pass on. We make no comment on and give no warranty as to the accuracy of the information contained in this document which does not constitute all or any part of any offer or contract by the recipient. Prospective purchasers / lessees must rely on their own enquiries and should satisfy themselves as to the truth or accuracy of all information given by their own inspections, searches, inquiries, advices or as is otherwise necessary. No duty of care is assumed by Orchid Avenue Realty trading as Ray White Surfers Paradise Commercial divisions toward the recipient with regard to the use of this information and all information given is given without responsibility. Robina Professional Suites $2,380 pcm + Outgoings + ..
Brandon Johnson as exclusive agent is proud to present this unique brand new development site which will accommodate a range of uses. Retail, Medical, Office and various other uses subject to council approval. This site takes advantage of major surrounding retailer Westfield Shopping Centre and is walking distance to all public transport including, bus, train and the light rail. 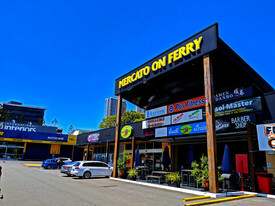 87m2 268m2 of open plan space available Commercial kitchen capabilities Ample parking National anchor tenant Metres from the M1 Motorway Surrounded by the Gold Coast's most valuable infrastructure Excellent signage opportunities Great corner location in main street with high exposure Due for completion 29th March 2019 this is an opportunity not to be missed, the owners are motivated and offering huge incentives for the right tenant. Enquire today to secure your spot! Approx Disclaimer: Ray White has not independently checked any of the information we merely pass on. We make no comment on and give no warranty as to the accuracy of the information contained in this document which does not constitute all or any part of any offer or contract by the recipient. Prospective purchasers / lessees must rely on their own enquiries and should satisfy themselves as to the truth or accuracy of all information given by their own inspections, searches, inquiries, advices or as is otherwise necessary. No duty of care is assumed by Orchid Avenue Realty trading as Ray White Surfers Paradise Commercial divisions toward the recipient with regard to the use of this information and all information given is given without responsibility.